Welcome to our first HIMSS Northern California Newsletter! I am excited about all the things happening in Healthcare IT and excited to be a part of this first copy of our 2015 NorCal HIMSS Chapter Newsletter. This year marks a transition for our Chapter with new Board members, Officers, and Committee Chairs. I believe this new communication tool represents the commitment to you from all of the members and volunteers who have joined our NorCal HIMSS Chapter Leadership Team. 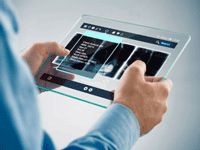 Getting more personally involved in the transformation of Health Care. Giving back to the Health IT community. Growing and developing professionally, expanding your educational experiences. Bridging traditional Health IT with the Innovation happening locally in Silicon Valley and the Bay Area. 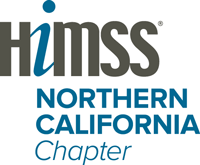 I will leave you with an open invitation and call to action to join us this year in continuing the success of the Northern California HIMSS Chapter. We will work together to have fun and grow personally and professionally as we build our local HIMSS Leadership team and membership, and attend educational HIT events both locally and throughout the nation. I am excited our new Board has taken on a serious commitment to improve our communication to you, our members, and put together this Newsletter to keep you informed. Special thanks go to Nik Tehrani, Chapter Communications Co-Chair who has led the effort to put together this much needed communication tool. Please take some time to view our events calendar and become familiar with our upcoming events and programs, and I look forward to seeing you this year at our local events. Revolutionize, disruptive, transformative – all are part of today’s “innovation” lexicon. Most times these words are more about journalistic hubris than everyday usefulness making them pretty much…jargon. What puts gravity in the application of “innovation” is the amount of actual usefulness, and thus value, it creates. Scholarships: Working with the Education Committee, our first effort is the CA/CPHIMS review course and exam scholarship pilot next Spring for HIT students and professionals. Outreach: We will be following with outreach pilots to solve our “geography” problem and better serve the professional growth of our membership across Northern California. Thought Leadership: Most of us are also involved with the Innovation Showcase conference in January and plan on bringing the best Bay Area HIT innovation thought leadership we can find to our stage. The key to all innovations that better serve your needs is you the member. Help us by taking guidance from Neils Bohr, father of the atomic model, "Your theory is crazy, but it's not crazy enough to be true." No thought will be too crazy for us, so jump in with a quick note to me about your crazy idea on how to serve you better…and thanks for the opportunity to do so. On July 9, members of HIMSS Northern California came together for the annual Summer Social. Members enjoyed delicious food and great wine at Rock Wall Winery. Under the leadership of board President, Nancy Hall, members of the board and advisors were there to have fun, network, and educate membership about the upcoming year's activities. Though everyone is busy, it is a great use of time. Among the group you see industry leaders in Health information. One advisor, Dave Minch, is known nationally as "Mr. HIE" (Health Information Exchange). Members who work for leading consulting firms, a hospital CIO, the founder of the Bay Area Nursing Informatics Association, and entrepreneurs all bring a variety of knowledge bases and skill sets. As an early stage company CEO, I choose the time I spend very carefully. Though I've observed and worked in healthcare for over a dozen years, there is still so much to learn as we work to build solutions that will solve, not create, problems for healthcare providers. If you are a health entrepreneur, regardless of your expertise and experience in healthcare, and especially if you lack deep healthcare experience, it's a wise investment of your time to get involved with HIMSS Northern California. EHR vendor agnostic HIMSS Northern California recognizes the need for and emphasizes innovation. The group welcomes and values the skill sets of entrepreneurs. Jim Bloedau, Innovation Chair, led a sold-out event last year, which promises to be even better in 2016; it is tentatively planned for January 21. Get your tickets early because it will sell out. If you are an entrepreneur, seize this chance to learn from people who know the system and are committed to its evolution and eventual transformation through the optimal use of health information. 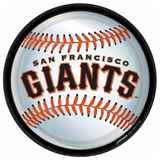 Come join us as the HIMSS Northern California Chapter kicks off a new season at the 2015 Fall Networking and Giants Game. We return to the popular Perry's Restaurant on the Embarcadero followed by a Giants vs. Dodgers game at AT&T Park. This is an excellent opportunity to network with other healthcare professionals, meet the members of the newly elected board, and learn about our calendar of programs and opportunities to become involved in the chapter. This event has sold out in past years, as there are a limited number of tickets. The event starts at 4pm and goes until approximately 7pm, where we will head to the game as a group. The cost is $20 for networking and $40 for the game. We encourage all members to bring a friend and enjoy networking with your fellow healthcare professionals. You don’t want to miss it!! To begin the discussion – I know you are very busy – I get that, trust me. So, why do I volunteer the scarce free time I have to my local NorCal HIMSS Chapter? Value. Yes – value received and value provided. I’ve been a national HIMSS member since before there was an “i” in it – we were primarily management engineers, but a few of us were also propeller-head technology guys, and there was great value in meeting with others of like mind and background to discuss current issues. When there were more of us “i" guys, they put us in the name, but the chapter has always been about meeting up with colleagues and other folks in the healthcare industry who are facing and solving the same kinds of problems. Certainly, HIMSS Annual Conference is one such place to meet up with others across the country and the globe. But local chapter events are an even better place to meet with other locals who can better understand the dynamics of our California healthcare system. So, I get value in meeting with my peers and colleagues, and hopefully I give some value back in our conversations and discussions on current topics. Beyond the meet/greet, however, I’ve volunteered my time both at the local chapter and National HIMSS level. Nationally, as a SIG chair and on the HIE committee as a member and chair and 2 years as the HIE Roundtable chair. In the local NorCal Chapter I’ve volunteered as a speaker and participated on program event committees and in various Board positions. I invest that time, because it is important to share learnings and bring value to others – and, above all, because it is truly fun to meet attendees at our social and educational events, hear their stories, and exchange ideas on how to improve what we all do. Someone once told me that belonging to a professional organization is a way to continue to learn, and to give back and have fun while doing it. I can safely say that it is some of the best advice I’ve had. I’ve met professional colleagues who have become close friends. I’ve met folks who I’ve given advice to who have later hired me because they remembered something I said in a conversation or during a lecture session. And most important, as I’m now toward the end of my career, it is an opportunity for me to “pay it back” to the next generation of Health IT professionals who become our next round of HIMSS NorCal volunteers. I’m looking forward to meeting you at the next NorCal event, and working with you in planning for the one after that! Internship Program – We have been successful in placing 2 college interns with Health IT majors in two major clinics this year. The interns are learning about electronic health records, ICD-10 conversion and meaningful use. The internship lasts for 3 years and HIMSS provides a monthly stipend to the student. Nursing Informatics Boot camp - On September 24th and 25th, the Northern California HIMSS Chapter in affiliation with Healthcare Informatics Education is sponsoring the Nursing Informatics Boot Camp, a 2-day course designed for Nursing Informatics professionals in San Francisco. CEU credits are available for this course. CPHIMS and CAHIMS Classes and Testing – Working with the innovation committee we are planning on offering these classes and same day testing to our member community. All annual events in Nursing Informatics, Emerging Technologies, CIO Forum, Advocacy Day, and E-event offer HIMSS members a way to further their educational and professional development with relevant and timely topics.